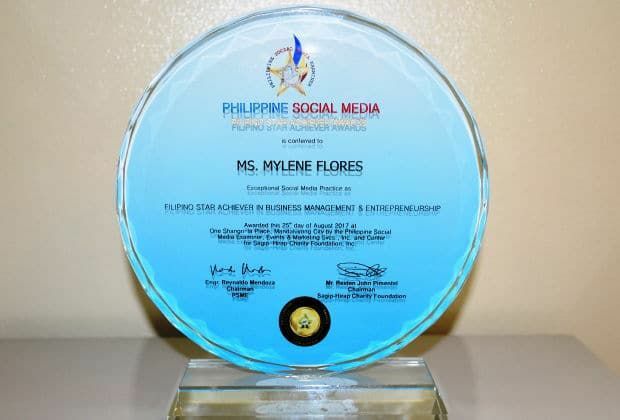 Philippine Social Media Filipino Star Achiever Awards is conferred to Ms. Mylene C. Flores founder of Mich & Myl Nails for her Exceptional Social Media Practice & Noteworthy Achievement in the field of Business Management & Entrepreneurship. 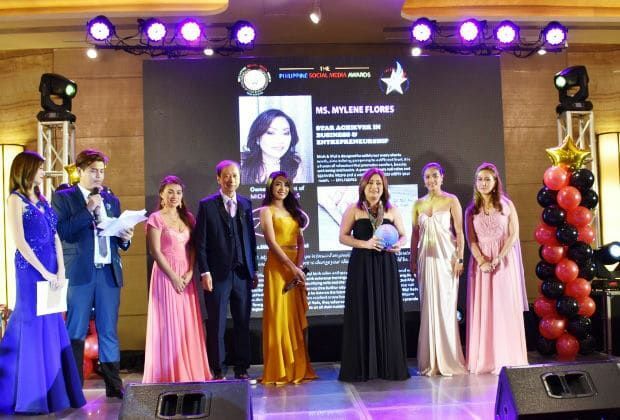 Awarded this 25th day of August 2017 at One Shangri-La Place, Mandaluyong City, Philippines, by the Philippine Social Media Examiner, Events & Marketing Services.,Inc. and Center for Sagip-Hirap Charity Foundation, Inc.Social Media Awards For Achiever In Business & Entrepreneurship 2017.